Rain Bird R-VAN: A Complete Line of Quality Rotary Nozzles! 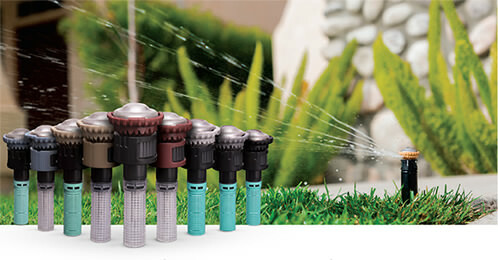 Introducing Rain Bird's Complete Line of R-VAN Nozzles! Get ready for the next generation in nozzle design! Rain Bird’s R-VAN line is engineered to deliver the most efficient coverage while ensuring the process of installation and maintenance is faster and easier. Rotary nozzles have evolved! Now it’s time to move irrigation forward. It’s time to advance with R-VAN. And they are available now at Smart Water Shop! Adjust the rotating stream’s arc and radius* by hand – no tools required! *Arc adjustment only for the 45-270° adjustable arc models. Fewer nozzles are required to cover any area, reducing inventory costs for your project. Pull UP firmly to flush for easy debris removal and maximised performance. No need to replace nozzles that have been clogged by dirty water or debris! All models have matched precipitation rate. Larger droplets and thicker streams cut through wind and keep water within the target zone. In addition to delivering water at a slow rate that slopes and compact soils can absorb, shorter run times save water and energy. All R-VANs are matched precipitation with 5000MPR Rotors. Rain Bird MPR Rotors can be installed in the same zone as any R-VAN nozzle.